We design quality crafted, creative and innovative homes for all types of families and lifestyles. A wide selection of product types offered in premier communities gives our customers the power of choice – the choice to grow your family, buy your first home or downsize. It starts with you, the cornerstone of our inspiration, and continues on with our passion for crafting memorable an unforgettable family homes. Calbridge was founded on a strong family history with an unwavering passion and dedication for the art of home building. The Ferraro family built their vey first home in 1978 on a modest lot in the beautiful inner-city community of Bridgeland. This location formed the foundation for their new company name – ‘Calbridge’ – Calgary meets Bridgeland. Over three decades later we believe in making a difference in peoples’ lives, and our reputation has grown with a commitment to quality, integrity and lasting customer relationships. 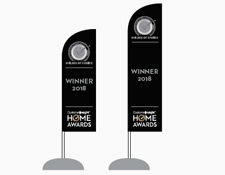 Award Winning Floorplans Calbridge is proud of our rich history in home design. We design quality crafted, creative and innovative floorplans for all types of families and lifestyles. 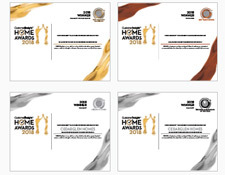 Some of our most recent floorplans to be recognized by the CHBA Calgary Region Sam Award committee in the Best New Home category are: The Galway, The Chester, The Auburn, The Cascade, The Redwood, The Bordeaux II and The Chardonnay II. 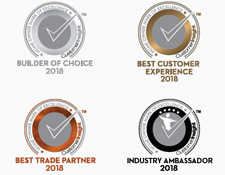 Sales Achievement Awards Our experienced and knowledgeable sales teams work closely with our clients to ensure they have the best possible building experience. 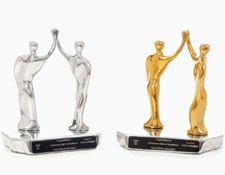 Over the last 3 years, sales teams from Cranston’s Riverstone, Mahogany, Legacy, Sage Meadows and Fireside have all been recognized by the CHBA Calgary Region Sam Award committee as top sales teams! Home Owner Mark of Excellence Certified Builder: The most important thing to us is our homeowners and their satisfaction. With a commitment to quality, integrity and customer relationships, we are honored to have been recognized by Customer Insight as a Home Owner Mark of Excellence certified Builder. The entire experience starting with Peter and Sonny and ended with Cam and Richard was outstanding customer service and exceeded our expectations every step of the way. We hope to always stay in a Cambridge home. Thank you for everything, from the Mah Family. My experience during the entire building process with the site supervisor Sonny (Romulus Andalis) and Peter Skolaude was remarkably good. They both were and are very proffessional, knowledgeable, friendly, cooperative and always helpful. This site office staff team is also helpful and provided assisstance as needed. My overall experience was very good. Curtis has been wonderful . Crystal and Rich have been great. I can't say anything negative about them. Some of the stuff I would have picked different like the paint. I don't like the townhouses coming in. Very impressed with the entire process. Some places are nice to you till the check clears. Calbridge and it’s trades stand behind their work. I wasn't satisfied with the colour options they gave me for the house. Everything was good. They were professional. If we had any complaints they were on top of it. They have been good to us and we are happy with it. Everything is good. The manager, she is really accommodating. She is so nice to us. Everything was good and on time. We really liked the experience with everyone that we dealt with working for Calbridge. Very pleased with the results and with the quatily of home. working with Curtis Wankel And Richard was great. they always there when needed. Dianne, Paulina and Blake they are really nice person and very helpful—customer service is excellent. We couldn’t be happier with our Sales Rep (Chantel Gogowich) or our site supervisors (the 2 Dale’s), they went above and beyond for us and we enjoyed the experience! Would definitely recommend building with Calbridge. They are better than other builders that I built with before quality of work. I wish the deficiencies were handled a bit more quickly. I have never purchased a home before and it was a wonderful experience. I would recommend Calbridge Homes to my friends and family - they looked out for me throughout the whole process. Trail Appliances dropped the ball on numerous occasions. Jack and Craig were fantastic to work with throughout the process. I have to say that the people we worked directly with were outstanding. Dan Hippee was our area manager that worked very hard for us to find the home we bought. Glenda Ell and Kim Reshetylo were both amazing as was Dominique Pittman (interior designer) working tirelessly with us to make sure we were happy with all the choices we made. A big callout to Gary Houston and Dale who made sure our home was perfect when we took possession and continue to make sure all the deficiencies are being taken care of in a timely manner. All in all building with Calbridge has been a great experience. Our interaction with Curtis was very good overall. He was attentive to the build process and addressed any concerns in a timely manner as well as communicating it all with us. Our building experience with Calbridge went smooth and we were satisfied with the overall build. Our concerns are with the Cabinet company for their deficiencies which took far too long to rectify. We also had concerns with the roofers who also had to come back after we moved in, and proceeded to drink on the job, a concern which had been addressed we were informed. All the deficiencies we noted were handled efficiently through Curtis which we appreciate. We had a very satisfying experience with Calbridge team. Each team members we interacted were very professional and honest. In particular I would like to recognize Jenn Reeves (she is simply awesome), Dale (very cheerful) and Aaron (very professional)!! Thank you Calbridge for such a wonderful home building experience. We shared our wonderful home building experience with our friends and one of my friend is now in the process of building his home with Calbridge in Sage Meadows. Calbridge personnel have been enjoyable to work with and have responded to our concerns with prompt service and respect. Our individual requests have been met with a desire to accommodate our needs. We are hoping this continues as we resolve the few outstanding issues that require solution. We feel our choice to buy through Calbridge has been valued. We love our home . We really feel that Calbridge values their customers and builds a very good quality home. My daughter just finished building with another builder she has had nothing but trouble with getting things fixed which were not done correctly in the first place. We feel so fortunate to have had such a pleasant experience with you all in Calbridge including your trades people. Thank you so much for caring about building a good home for your customers! So far we had a few small issues. They tried to fix it for me. We booked appointments for this week. I think we will be fine. Overall we are comfortable but after a year we are starting to notice little things. Unfortunately we are off warranty so everything that I am noticing is on our dime now. 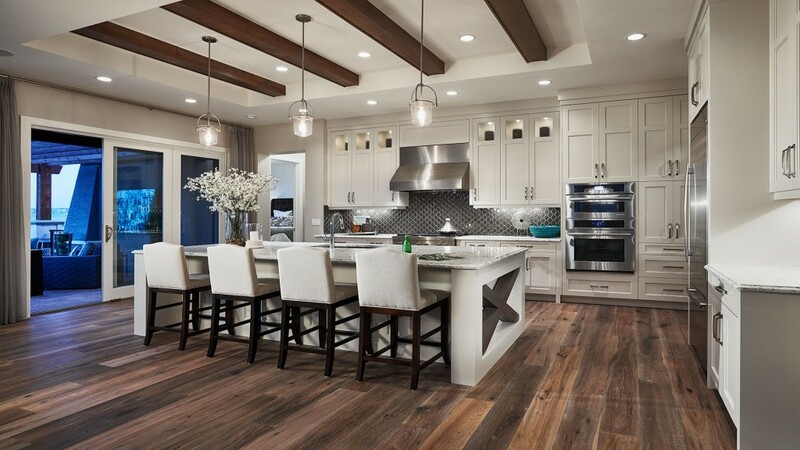 Through our entire purchase, design, build and move-in experience, Calbridge's representatives have been professional, thorough, responsive and personable without exception. A true pleasure to deal with. Calbridge is an amazing high quality level builder. Were super happy with Calbridge and the whole experience. It was great all around. It went great. We felt that the builder was easy to get along with, Our comments were met without criticism and in a helpful manner. Great experience so far. The warranty and all the guys in the crew have been great. The lighting company shouldnt install fixtures with noticable deficiencies. Really loved dealing with Calbridge, Gary was amazing and informative. Glenda and Kim were in contact and on top of everything we inquired about. Also always happy to see us, even when we walked through the house a thousand times. Everyone that we dealt with at Calbridge from start to finish has been fabulous. Nothing was ever too much trouble. They are all outstanding at their jobs and very knowledgeable. They have all been very easy to deal with and we consider each of them a friend. We really appreciate Peter, Sonny, Jared, and Cam; thank you, guys. The only thing that we would change is our furnace - it is noisy. The provider was difficult to work with. We were unaware that there was an upgrade to the furnace that would have been relatively inexpensive at the time it was installed but fairly costly to fix after the fact. With the help of another furnace company we have been able to resolve this matter to our satisfaction but it took a lot of time and had an additional cost. Nothing but good things to say. The experience is pretty much unchanged from the previous 5 houses we bought from Calbridge. Great work and communication. The sales team of Paulina J & Diane were absolutely fantastic. They were always available, always pleasant and always had quick response times. The same goes for Blake. We had a very very good experience building with Calbridge and always recommend them as a builder. The home plans and community are beautiful and were planned in a very smart manner. We are very happy. Site superintendent is very helpful and knowledgeable. Went to Gary with a lot of our questions as the sales team did not always seem to know the answers that we thought they should have. There is currently a house being built beside us that has had to access our yard to get materials in. We do not have a problem with this but we have nails on our sidewalk and driveway everyday. It would be nice if they could clean these up at the end of the day. We generally have good review process for attending to warranty requirements of the home. We still have one or two concerns to be attended, we hope they will do it soon! My home-buying experience with Calbridge so far has been nothing but positive! I would highly recommend and/or personally go with Calbridge as a builder first before considering others in the future. Cam and Curtis have done a good job and the service is much better with them then it was before. The whole experience was good and it went smoothly. No complications. Working with Diane was awesome and we still enjoy working with her. Overall we are extremely satisfied. The communication was great from the start was great from the sales people and service people. Any questions or concerns we had were addressed. Overall a good experience particularly with sales, design and site supervision. Gary has been excellent to deal with. He has been very clear in explaining construction process and best methods of repair after our possession. During the purchase and planning phase, Glenda was very helpful and knowledgeable - she was good at getting a deal done and it felt like she was at bat for us in a couple of difficult situations during the negotiations. I am extremely happy with the service I received from Calbridge Homes. I can’t say thank you enough to Craig and Jack for the outstanding service they gave me. There are still issues and repairs that need to be completed but overall I am very satisfied with Calbridge and would strongly recommend them as a builder. We would like to thank the exceptional sales staff especially Glenda Ell and Steve Ell for recommending Calbridge. Glenda was extremely organized, professional and prepared each and every time we met to discuss pre-construction details. Glenda was also very responsive to any questions or concerns. She really cares and it shows. Glenda also followed up through all construction phases and kept us appraised of any key dates and deliverables. On the construction side, Gary Houston was excellent to work with and very knowledgeable. It was a tough winter in Calgary however Gary kept a tight schedule and delivered a beautiful product in the end. Gary was also very responsive and decisive on any questions or concerns we had which frankly were few. Finally, I would like to commend your design team and namely Jarod Silverson. He did a great job of helping us make numerous decisions on design and interior selections especially when we were at an impasse. The whole experience with Calbridge was excellent. Kim R. has been great right up to the point we met our superintendent Dale as well with warranty Arron. They are really good. The overall experience has been positive with meetings and helpful addressing our concerns during the whole process from sales to construction. They are very professional helpful in many ways. Jack was awesome to deal with! Overall my new home has been great and there have been no major problems at all. I was disappointed in the attitude of the technician who performed the 90 day inspection as I felt that some of my concerns were not taken seriously (whistling from heating ducts and garage floor concern) However I was delighted with the final inspection and the responsiveness of the technicians who attended. I felt that they went over and above to solve minor issues, and were diligent in looking for problems that I hadn't been aware of. Almost all of the outstanding issues have been resolved with the exception of one related to the stucco (parging has spattered onto adjacent stucco), which is really only cosmetic. Thank you! Over all, our experience was good. The sales staff were very helpful in putting us in contact with the correct people. Blake has been great for dealing with repairs and helping to schedule trades to come in. Most of the outstanding issues that we have been dealing with are seasonal and can't be helped. Peter, Sonny, Dominquie and everyone else involved have been fantastic to deal with! As per my original survey, the Calbridge Team was exceptional as were all the trades. Extraordinary support from Dale, Kim, Chantel, and Britney. The house is amazing, the quality and care amazing, and the selections turned out great! We are very happy with the home and we will recommend Calbridge to anyone based on our exceptional experience with staff and trades. Calbridge should be very proud of these quality homes and the amazing staff that built this home. 5+ Stars all the way! Great work! I even sent a note to Divine on our floors as they are spectacular! Please pass on our sincere thanks and appreciation to the team and the trades as they really did a wonderful job for us! Everything seems to have worked out fine except for the landscaping. Our Calbridge is a very well build house and there is very little I would change about it. I would defiantly recommend them to any one of my friends or family. The experience has been exceptionally good., the sales people. Dealing with Diane Blake and Jared were pleasant and good with the kids. Our Calbridge experience was fantastic. From meeting Diane Chambers for the first time and her knowledge and no pressure on us to buy, to Blake and his crew doing a great job, being personable and keeping us up to date on progress. I have recommended and will continue to recommend Calbridge to friends and family. Love our Bellevue. Gary Houston is a fantastic resource for your company - very professional and thorough, great communications. All staff that we dealt with were professional and courteous. Fantastic service and I absolutely love my new home. Calbridge and all affiliates have been terrific. After the leak from our shower head that we had our first night, i am very please with how Calbridge handled all the repairs, the walls were all replaced and painted within the week. We have received a much better customer experience now that we have moved in and Candy has been great at meeting all our needs. Excellent customer service especially from Diane. We have enjoyed the house so far despite on-going construction in the area and a few minor tweaks. We have been accommodated very well by Blake and Justin, we would recommend Calbridge to our friends and family in a heart beat! My husband and I have built a few homes with different builders but we have never had an experience like this before. It is the attention to details, really listening the customer, world class service and a quality product that really make the difference and Peter Skolaude along with his site supervisor, Sonny delivered on each one! I cannot thank them enough for being so patient, understanding and truly caring for our well being. Building homes has to be one of the hardest jobs because it is so personal but we truly believe we receive world class service so we commend Calbridge and your amazing team! We will always recommend you and if we ever build again, we always come back to Calbridge. It was our first build. We were impressed and had a wonderful overall experience. Other than the outstanding stuff that still needs fixed, everything else has been good. We have no worries about it thought because they have been good with all the other warranty issues. I would recommend anyone to buy a home with Calbridge. Overall we are happy homeowners. There seemed to be a lack of thought put into light and electrical switch placement. This is certainly something I would get more involved with when I build again. Unfortunately the sale of my previous home created a little issue with possession however the lawyers created more difficulty than there needed to be as financing was being arranged and Calbridge did provide some relief but the complexity of the financing ended up creating a financial burden . Lawyers dictated that certain costs had to be charged .... that did not needed to be charged ...so lawyers certainly received their portion. Unfortunately this situation left me in a very uncomfortable position which dampened the excitement of the purchase of my new home. In the overall scheme of things the difference between furnishing my new home and having to move in with no furniture was the fees payed to Calbridge and the legal team ...so my overall experience starting with Jack S... was great , he was a very knowledgable Salesman, well organized, professional, extremely hard working in and around the Showhome and was on point with all details. Craig and Craig were also a pleasure to deal with were helpful when ever called upon and finally Jarod in the design centre .... who has customer service written all over him ... was the final piece of the puzzle that completed the professional experience from start to finish with Calbridge. If I were asked if I knew a Good home builder... 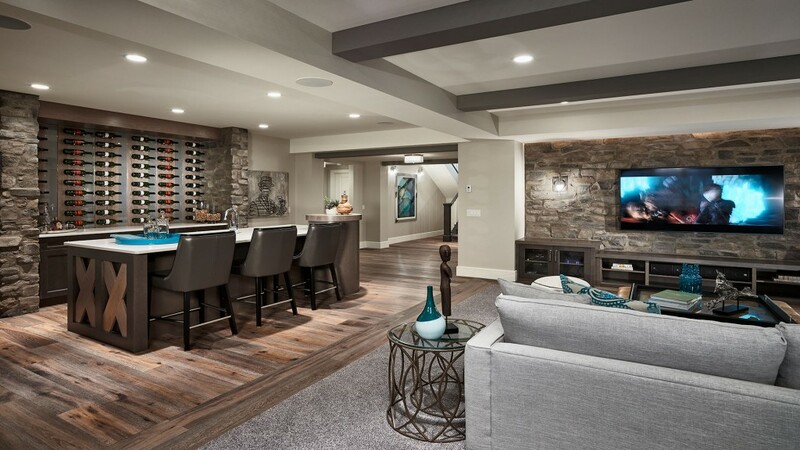 I would not hesitate to recommend Calbridge Homes. Was overall a good experience. They were professional. High quality home. Whatever was wrong or needed to be fixed they took responsibility so that gave you peace of mind. I would recommend the builder. Overall awesome experience and no doubt one of the best builders in Calgary! "Aaron and Blake were fantastic. Very professional and pro-active. My only issue was a miscommunication around the final warranty visit as I had rearranged my work hours but no one showed up (In hindsight the time I asked for was not confirmed so I should have checked). I am still not happy with the laminate hardware flooring as it is very difficult to clean. I would recommend giving clients a choice before replacing defective flooring with a product that was supposedly close to the oroginal color and quality. Thank you for the great service!" We love our home and can only say good things about Calbridge and everyone that we have worked with. Everyone has been great and very helpful. "Although all of my answers aren't 10 they are honest to help you improve. Your people are great but there is always room to improve upon your communication and speed of process. Overall we are very happy with our home and Calbridge in general. When the time comes we will pick Calbridge in the future. Our construction manager Chad was wonderful to deal with. He goes out of his way to ensure our home was well finished. He was always friendly, courteous, punctual and efficient. Overall we are very happy with our home. Everyone in the organization was and is great to deal with. From sales to design, and any minor issues that have come up have always been handled promptly. I know the final few details that are in the process of being handled will be corrected professionally. "We found the team that Calbridge has have been amazing to deal with. We found Calbridge's quality of work has far exceeded our expectations. We have built in the past and we have been treated very well with your team from start to finish. We would totally recommended building with you to anyone who is concerning buying a home. Thank you for caring about your customers and quality of home you build!" "Calbridge staff have been good to us, very friendly responsive and efficient. The main issues for me right now are carpet installation and trims. If I take those two outs, house looks amazing and it is exactly what my wife and I dreamed for. I don't think the outstanding items are to be concerned, unless the carpet issue becomes more notable for me!.. Overall great job! Please fix my carpet :)"
Everything was practically okay. Good location. Extremely beautiful view from the balcony. Still we don't know about the attic since they replaced the vents last year. We are still waiting to check. We have door bell problem I will be calling about. It has the same problem as the last one. Nice community and nice people. I put a 5 for the window because when its cold outside there is a lot of ice build up. Is it the quality of the windows or the quality of the air in the home. I have seen better quality of windows in my life. The garage is small but we knew that when we bought. The garage should be bigger. Excellent customer service, knowledge and advise by Chantell Gogowich sales manager and Angel. I highly will recomend caldbridge to my friends. It was a good experience to build home with Calbridge, but we just do not like the exterior colour of our home, there wer no options to change. "The overall experience with Calbridge has been excellent. Jerry Miller did a exceptional job quarterbacking all things, and handling things while we were away for most of the winter during construction, and answering questions or concerns. The team of Gary, Shawn and Mike looked after any questions, maintenance, vendor coordination etc. in a very timely and effective manner. This is a great team and we really appreciate their diligence, quality, and good nature and positive attitude . The vendors where also responsive, considerate, and tidy. We are very happy with our purchase of our new home ( Villa ) and our new neighborhood in Riverstone. Great work Calbridge and team." The people we worked with on this house were fantastic. We have talked to other people who have built homes and it seemed like it might be a nightmare of not getting what you expected or answers to any questions. We are so glad we went with Calbridge, loved the whole process and love our home. Overall, this has been a very positive experience for me as a first time home buyer. "Overall the experience was great. As I purchased through a realtor I didn't have any direct contact with Calbridge until the pre-possession walk through. I had to give some lower scores for the corporate side communication as during the time period prior to the walk through there were some questions/issues that we never got a response on or it was delayed. I understand part of this could be the information having to go through my realtor and the listing realtor to Calbridge and back to me. From the pre-possession walk through forward everyone I dealt with were great (Blake, Aaron, etc) and the process was extremely smooth and professional. I'm definitely happy with the quality of the home so far." "We are over joyed with our new home and neighbourhood. We spent a lot of time at our home during our build which made it easy for us to catch a lot of deficiencies prior to trades having completed products. Everything we selected for our home we are very happy with. We did find that there was not as much attention to fine details as we thought there would be. We have walls that are not straight and our master bedroom window and big window in living room are both crowned, which is something that should have been caught early on in the build process. The workmanship on our cabinetry throughout the house was poor and not becoming of installers that take pride in their work. Little details that should have been caught and fixed by installers we left as is. That said, we have had good response from the trades and most those issues have been resolved now." My husband and I bought a quick possession home. We were drawn to the home because of the good reputation of Calbridge and it did not disappoint. From the appliance package, to providing us with the builders discount for our washer/dryer to cleaning the home and windows prior to move in everything was perfect. The customer service from Dale and Kevin was great. Our possession date they were so professional and provided attention to every detail. We every much appreciated the water in the fridge and the beautiful gift basket and pizza gift card. The house was perfect when we moved in and is everything we wanted. Needless to say we have had a great experience with Calbridge and the quality of the work really does show as the home is stunning. Overall very satisfied with the building process and final product. Thank you Calbridge. We are more than satisfied with the service we received on any warranty items we encountered. Our new home is fabulous and the entire Calbridge team has been outstanding. Thank you very much. I continue to have the highest praise for Cameron Mead, our site supervisor. He continues to be extremely helpful, hands on and able to solve any issue we have had. In addition, he is extremely pleasant and courteous. He takes every concern seriously, big or small. As I have indicated in a previous survey, I wish we had been informed that some of the windows would not open. This continues to be an issue for us especially in the master bath and the laundry room where we would need more ventilation. Especially the laundry room where there is no overhead fan. The sales team in Glenda and Lorence were amazing and we felt looked after entirely. We still have 3 points that need to be resolved but Mike is attending to them and is clearly very busy. Both Blake and Aaron were fantastic to work with - they were very informative and quick to get any issues resolved. Thanks!! Though we've had some issues I feel like there is a sincere effort on the part of Calbridge (Cam, George, Andrew, Lewis) to make it right...this goes a long way and is appreciated. We are grateful for the change in warranty/follow-up personnel. While we are still working through our warranty items we do feel that there has been a significant and positive effort to help us. I would buy another home from Calbridge in the future. "All personnel during the building of our home and the warranty servicing were helpful, knowledgeable and friendly. The spec sheet called for 100% air conditioning....there are two furnaces and one air conditioner (for the main floor). While I think that is likely adequate, it was difficult to assess last summer given the wet and cooler weather. It remains an open item. We both enjoy the design (it was a first for that model for Calbridge) and the layout and, appreciated the workmanship. I would suggest that the lighting onto the island was somewhat deficient and the chandeliers in the living room could have benefited from a separate dimmer system. It was one area that took some time for us to sort out. We'd have no problem recommending Calbridge as a builder and are very pleased with our home. "The show home staff (Kim and Jen) were fantastic. Very friendly and helpful. Dale and Kevin were also amazing and have helped us address any issues post possession. Our biggest issue was the possession date. There should be more notice provided in order to make moving arrangements." Jerry and Gary in Riverstone have been great!! Great sales/customer service and prompt response to my concerns!! Overall the experience was excellent. Jason Benko is the reason we bought this house. We were treated great through out the entire process. Any issues were dealt with in a professional manner. Thanks for helping us attain our forever home. We feel we are living the dream in Artesia. Our family is ever so grateful to have met you at Calbridge Homes, guiding us through purchase of our dream home at Riverstone. Your patience and understanding of our needs in the new home not only eased our anxiety but also gave us a peace of mind with the new build. You continued to provide us regular feedback on construction with progress pictures that no doubt created an on-going excitement for the family. Our experience has been exceptional and we knew we had someone we could trust and rely upon to provide best advice. I only have kind words for you Glenda and to me, you are one of the best in your field. Thank you Glenda….you were simply awesome and we are blessed to know someone like you! Our sales representative Mr. Jack Stricharuk was absolutely amazing. His experience and dedication to his position made this entire process very smooth. Along with his team of superintendents Craig Parker & another Craig, they made our overall experience very pleasant. I would recommend this group to anyone looking at purchasing and building a new home. They are all top notch! We love the house and couldn't have chosen a better builder to build our new home. Kim, Jen, Dale and Kevin have been very helpful throughout and answered any questions or concerns we had. "We are extremely happy with our home and really enjoyed the building process with Calbridge. We had some bumps During the building process however the staff handled them with logical solutions that we were extremely satisfied with the end result. Our only comment is with the carpet. We realize we didn't upgrade the carpet however the base carpet is of extremely poor quality once it's installed. We constantly feel the nails in the stairs and at transition pieces and our kids have been in tears a few times from having stepped on them. In an estate home I would have expected a little better quality even for the base carpet choice. Regardless we love our home and are extremely proud to tell our family and friends we've built with Calbridge. Chantel, Nicole, Peter and Sonny were absolutely great to work with! Thank you:)"